You are looking at the NEW NASCAR DIECAST of the Ryan Blaney 2018 PPG #12 Ford Fusion Penske Monster Energy Cup car.1/24 scale limited edition, exclusive by Lionel.1 of 913.….Hood Opens, Trunk does not. You are looking at the NEW NASCAR DIECAST of the Kyle Busch 2017 Skittles Sweet Heat #18 Camry Monster Energy Cup Joe Gibbs race car.1/64 scale limited edition, exclusive by ACTION. DRIVER:KYLE LARSON. FEATURES: CLEAR WINDOW CAR. HOOD OPENS ONLY. DRIVER:BRETT MOFFITT. BRETT SIGNED THE WINDSHIELD IN SILVER SHARPIE. FEATURES: CLEAR WINDOW TRUCK. HARDTOP BODY. Brad Keselowski - Miller (ON A BASE). Brad Keselowski - Wurth. Joey Logano - Autotrader. DRIVER:CHRISTOPHER BELL. FEATURES: CLEAR WINDOW TRUCK. HARDTOP BODY. 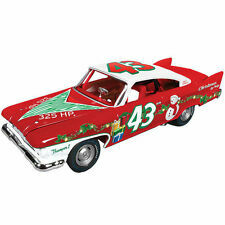 All NASCAR Authentics are in Mint Condition, the photo represents the condition of car you will receive. There may be factory defects or shelfwear. 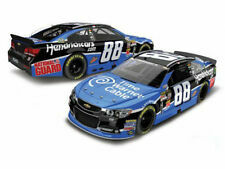 DRIVER:ALEX BOWMAN. FEATURES: CLEAR WINDOW CAR. HOOD DOES NOT OPEN. 1/24th scale, opening hood and trunk. This is Rusty Wallace multiple item lot for sale. 1- 1:24 Miller Lite / Harley Bank. BUT I TRY VERY HARD AS THIS IS MY LIVING. Driver: KYLE BUSCH#18. You are purchasing NASCAR AUTHENTICS. INTERSTATE BATTERIES. 1/64 TOYOTA. New Spin Master - 2012. Rare #4 "Big" John Sears 1964 Ford Fastback. Racing Champions put these out in 1994 with no production run listed. Very sharp looking car and would make a very nice addition to your collection. Also a crease on the top left hand side. Group of Racing Champions 1:144 Diecast Nascar Micro Cars/Dragsters with Cards. Group of Racing Champions 1:144 Diecast Nascar Micro Cars/Dragsters with Cards. Power Team. Cars are in Nice Condition. RARE CHROMALUSION. Looney Tunes. Jeff Gordon. #24 Dupont. William Byron 2017 #9 Liberty University Darlington Camaro Xfinity 1:64 ARC -. Boris Said 2006 Charger #9 Ltd. Edition Motorsports Authentics 1:24 Signed!!! RARE 2014 NASCAR AUTHENTICS 1/64 BRAD KESELOWSKI #2 GREAT RACERS SERIES DIECAST!